4 oz. white paper cup with handle- 100 pack 4 oz. 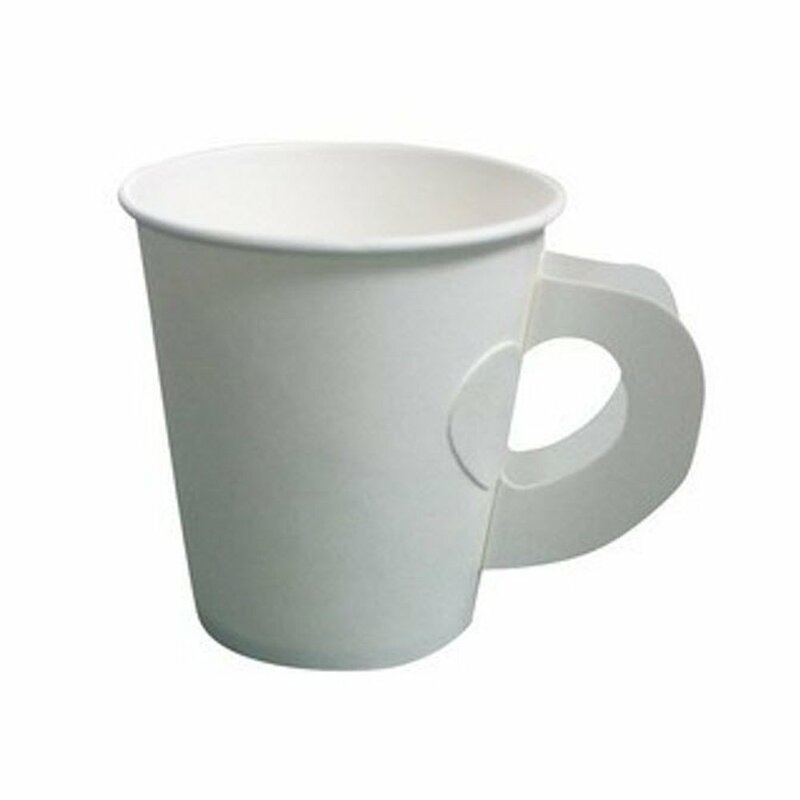 White Handled Paper Hot Cup is the perfect option when serving coffee, tea, or any other hot beverage. The simple white cup will look great at any café, restaurant, or office. Use this during business meetings instead of traditional coffee mugs when setting out coffee and tea to save time and money on washing everything afterwards. This cup is great for when you want to take hot beverages on the go and can easily be disposed of after use. The cup’s rolled rim helps the corresponding lid to fit securely. 4 oz. White Handled Paper Hot Cup is the perfect option when serving coffee, tea, or any other hot beverage. The simple white cup will look great at any café, restaurant , or office. Use this during business meetings instead of traditional coffee mugs when setting out coffee and tea to save time and money on washing everything afterwards. This cup is great for when you want to take hot beverages on the go and can easily be disposed of after use. The cup’s rolled rim helps the corresponding lid to fit securely.